What brand could be more qualified than Flamant to glorify the festive season? 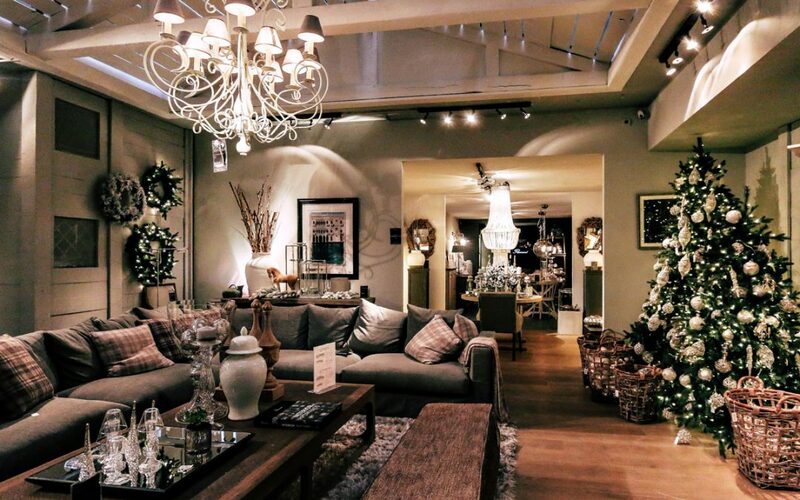 The 650 m² divine lifestyle concept store of rue de l’Abbaye and the so-romantic place Furstenberg puts up its Christmas lights: flamboyant trees, twinkling garlands, candles, pine cones, translucent baubles; Santa’s bag is full of surprises! A red and gold décor where you can curl up (yes, you do have the right to try out!) in the deep black velvet sofas, make the history of crafted pieces in raw concrete your own, feel cosy in soft leathers weathered by time… You’ve got it, at Flamant, the new collection bears the hallmark of the natural and the authentic. And their decorators have such a great flair for embellishment, you must have a look at their festive table settings on full-size display! The tableware is bright, crystal glasses, linen napkins accentuated by thin ties and the soft lights of the perforated candle holders invite to cocooning. In short, it’s magic! Not to mention the range of bathrooms and accessories, making your water nymph spa dream come true… “Nothing is more beautiful than a warm reception, this year again, let’s dream and go back to things that do us good…” says the Store Manager Arnaud Garel. The promise is kept: Flamant is more than a brand, it’s a destination.